Can a Negative Employment Reference be Considered Defamation? A letter of reference from a previous employer usually plays the key role of a determinant of whether the candidate in consideration will bag the job he or she really wants. This is the most prevalent method for recruiters to get an elaborate understanding of a candidate’s potential and to authenticate all the information given by the candidate in the hiring process. Similarly, a negative reference reduces the chances of the candidate to get the job offer and may end up damaging the individual’s repute in some cases. However, the main concern is whether a former employer is accountable for defamation or not. That is why qualified privilege protects references from claims of defamation under the strict condition that the provided reference is not produced with a malicious intent nor is untrue. It is believed that an individual giving an employment reference is under a duty to provide a truthful one and it is the recruiter’s duty to receive an honest feedback. Although there isn’t any lawfully enforced requirement for an employer to provide a reference for an ex-employee, there have been too many legal dramas surrounding employment references. Hence, the horror of defamation actions and human rights complaints have driven many employers to back out from providing references and invoking procedures restraining references to simple validations of employment. This new policy also has a downside. As policies limiting references result in employers to lose out on the advantages of providing references. More significantly, a positive employment reference can help an employee find work quicker and reduce an employer’s responsibility in a wrongful dismissal. Mostly, employers treat references as an important tool for recruitment and screening of candidates. Two Ontario cases – Papp v Stokes Economic Consulting Inc. and Kanak v Riggin, serve as manuals to employers to avoid any type of liability for employment references. Both these cases show that employers can be held responsible for defamation when you give a negative feedback about a former employee. A published statement about a person that has a potential to negatively affect the individual’s standing in front of another party is called a defamatory statement. The statement must be published, which means should be passed on to at least one other person for it to qualify as a defamatory statement. 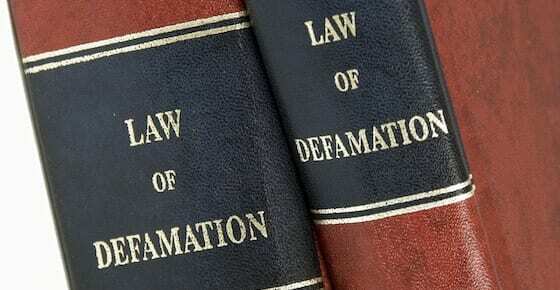 Hence, a negative employment reference could be considered defamation. Although in both the abovementioned cases, employers were able to successfully defend their case by using the defense of qualified privilege, which is to prove that the negative reference was given in good faith, without spite and with the firm belief that the produced statement is true. Beside defamation, employers require to be careful while providing references just so they don’t face a threat regarding a human rights complaint. It is inappropriate to comment on a person’s gender, race or disability. Any such comments, if made, may put the concerned employer in a wrong position. In short, it will probably be appropriate to have some rules with regard to employment references. Employment references are of great value to employers as well as employees. There should be a policy that endorses honesty while bearing in mind human rights and privacy issues. This article presents a generic and broad overview of this topic. In case you are in a situation like this or know someone who is facing a similar problem, contact Soni Law for specialized legal expertise for your specific situation.